Liability for Massachusetts personal injuries that are caused by a person being over-served alcohol can stem from two separate types of situations and therefore be based on two separate legal theories. Those two types of liability are known as: 1) Dram Shop Liability, and 2) Social Host Liability. The first, Dram Shop liability, is concerned with the liability and legal duties of restaurants, bars, and commercial establishments serving alcohol when patrons and customers are over-served alcohol, and then cause injury to third parties or to themselves. That is the subject of this Page. The second form of alcohol liability, known as Social Host Liability, is concerned with the liability of private individuals and homeowners who negligently serve alcohol to guests in their homes, when those guests then injure third parties or themselves due to the resulting intoxication. Social Host Liability is addressed at a separate page on this website. In the great majority of alcohol liability cases, the injuries that result are almost always caused by drunk driving, but they can sometimes involve other types of injuries as well. While a fully technical discussion of this area of law could run pages in length, the following Questions and Answers should provide you with some important basic information. If after reading this information you feel you or someone you care about has been the victim of injuries caused by dram shop liability, then please call us at either Ph. (781) 320-0062, or Ph. : (617) 285-3600, or email us here for a free initial consultation . You may be entitled to damages from the bar or restaurant that over-served alcohol to the person who injured you. We will be happy to provide you with the direction you need, and if necessary move forward with further investigation, at no initial cost to you. We are extremely experienced at successfully representing persons who have been injured in Massachusetts motor vehicle accidents, as well as in other Massachusetts personal injury cases where dram shop liability is indicated. What Types of Businesses are Governed by Dram Shop Liability? Generally, any business which sells or serves alcoholic beverages. This category includes bars, restaurants, nightclubs, country clubs, athletic and sports venues (such as stadiums,) liquor stores and fraternity organizations. What are the Specific Legal Responsibilities of a Business That is Governed by Dram Shop Laws? Massachusetts General Laws Ch.138 § 69 governs this area of law, and forbids alcoholic beverages from being sold or delivered to an intoxicated person on the premises that are covered by the relevant liquor license. The law provides that bartenders, wait staff, managers and owners all have a responsibility to carefully monitor the behavior of all persons who are served alcohol on the premises, for signs of intoxication. This includes taking measures to observe common symptoms of intoxication such as slurred speech, slowed or delayed reaction time, aggression and other common behaviors known to result from alcohol intoxication. Owners of businesses serving alcohol are widely advised, under commonly accepted alcohol industry best practices, to provide appropriate training for all bartenders and wait staff serving alcohol in how to monitor suspicious behavior, and appropriately deal with (meaning “shut off”) any patrons who appear to be intoxicated. That training is almost always provided through an alcohol industry program called TIPS (for Training for Intervention Procedures.) TIPS is a nationwide program used in the restaurant, bar and hospitality industries, to train servers and wait staff in the responsible sale, service and consumption of alcoholic beverages. The point of the program is designed to prevent negligence in serving alcohol, of the type that can result in serious personal injuries to innocent persons. 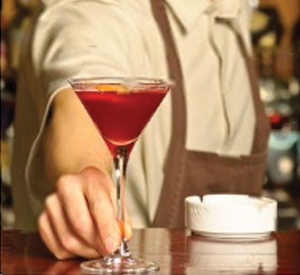 Establishments that participate in the TIPS program often get a break in their alcohol liability insurance premiums. What Type of Compensation is Possible in Dram Shop and Liquor Liability Cases? As well as of course, physical pain and suffering. When the injury involved results in death, and a wrongful death suit is initiated on behalf of the estate of the person who has died, compensable damages can also include loss of companionship as well as loss of financial support. Where Will the Money to pay for My Damages Come From? In July 2010 the Massachusetts Legislature finally passed (and the Governor signed) a new law that requires restaurant and bar owners who serve alcohol to carry specific policies of liquor liability insurance. Such establishments must now carry liquor liability insurance at minimum coverage levels of $250,000 per person & $500,000 per accident. Note that these insurance amounts are minimum amounts that a business serving alcohol must carry. Most establishments serving alcohol will carry more than this; a common insurance policy issued for alcohol and liquor liability will provide $1 million in coverage. This law prevents a situation where an injured plaintiff wins a lawsuit against a bar or restaurant owner in a dram shop case, but the bar owner has insufficient cash or assets to pay the judgment, and has no liability insurance to pay the judgment, either. Shockingly enough, prior to the passage of this law, bars and restaurants weren’t required to carry alcohol liability insurance. While many establishments did, many didn’t. Is the Bar or Restaurant Involved the Only Party That can be Sued to pay for My Injuries? No. If the intoxicated person was driving a car, and injured you in a Massachusetts car accident, then you can also recover from that driver’s auto insurance policy. How much you can collect from any auto insurance policies that might be involved will depend on the specific coverages that apply to those policies, as these coverages can vary – but Massachusetts law requires that all persons registering a car in this state carry statutory minimums of $20,000 per person/$40,000 per accident in liability coverages. Depending on the insurance carried by the person who injured you, other liability insurance might also be accessed from homeowner’s insurance. Make The Intelligent Choice. Boston, Massachusetts Liquor Liability Lawyer: Why Hire the Law Office of Attorney William D. Kickham to Represent me in My Liquor Liability Case? If you or someone you know has been injured as the result of a Massachusetts drunk driving accident or has suffered a personal injury as the result of someone being over-served alcohol at bar or restaurant, that person is going to need to retain a talented and experienced Massachusetts liquor liability lawyer – one who has a proven track record of success in winning these kinds of cases in Massachusetts. To hire a lawyer who handles these complex cases only “now and again” would be a foolish decision, and anyone who would do so is inevitably going to regret that decision. In the legal profession, as in any profession, “experience and proven results” mean everything. If you need to make that decision now, don’t make a mistake that could cost you a lot. We know how to try and how to win these cases, and our talent is among the best in Massachusetts. Call us 24 hours a day, seven days a week at Ph. : (781) 320-0062 or Ph. : (617) 285-3600, or email us here online for a free initial consultation, and we’d be glad to let you know what your legal options are, and what we can do for you. Westwood and Boston, Massachusetts liquor liability lawyer William D. Kickham has appeared as a legal analyst on a variety of respected media, including Court TV (now In Session on HLN,) Fox News TV-25/Boston, The Boston Herald, WBZ-AM Radio 1030, WCVB-TV5/Boston, Nightside With Dan Rea, Greater Boston With Emily Rooney, Money Matters Radio/Boston, and The Metro Newspaper/Boston. Attorney William D. Kickham is turned to by respected reporters and media organizations in Massachusetts as an authoritative expert in the field of Massachusetts personal injury law, and the case results that he produces for his clients attest to this. Call us today at office number (781) 320-0062, or Atty. Kickham’s cell phone number at (617) 285-3600, to arrange for a free initial consultation of your case. If the matter is not an emergency, you can email us here and we will respond to you very promptly.